Paul’s epistle to the Ephesians was likely written during the time of his two year house arrest in Rome (A.D. 60-62). During this same period, Paul also wrote Colossians, Philemon, and Philippians. These four epistles are now commonly referred to as the “prison epistles.” Ephesians is a profound book, and our own Dr. Sproul has himself written a very helpful introductory level commentary on it titled The Purpose of God. I recommend this volume to anyone who is not familiar with the basic themes of this epistle. In addition to Dr. Sproul’s work, the following are five of the most helpful commentaries on the book of Ephesians. 1. Peter T. O’Brien — The Letter to the Ephesians (Pillar New Testament Commentary, 1999). When it comes to the so-called prison epistles of Paul, the commentaries of Peter O’Brien are the place to begin. He has written the best commentaries on Colossians & Philemon (WBC), Philippians (NIGTC), and Ephesians. This commentary in the Pillar series in the most accessible of the three works. O’Brien engages thoroughly and carefully with the text, providing numerous insights along the way. This commentary should be on the desk of every student of Scripture. 2. Harold Hoehner — Ephesians: An Exegetical Commentary (2002). 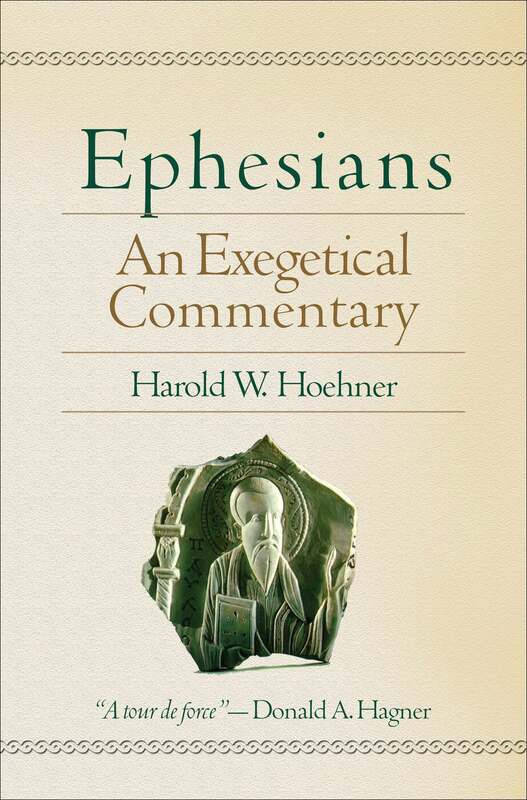 In terms of sheer size and scope (960 pages), Harold Hoehner’s commentary on Ephesians is the place to turn for those seeking a comprehensive conservative evangelical treatment of this epistle. Hoehner has long been a professor of New Testament at Dallas Theological Seminary, so his dispensationalism shines through at certain points. This is not a reason, however, to ignore, this masterful work. There are more than a few very helpful insights in this massive volume. His section on the authorship of the epistle is invaluable. 3. 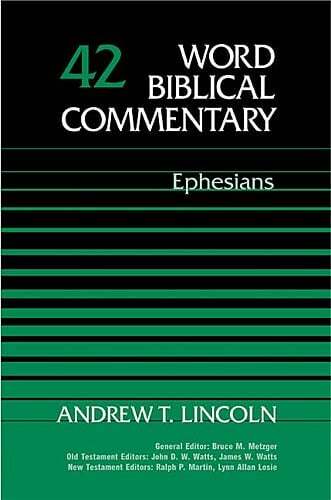 A.T. Lincoln — Ephesians (Word Biblical Commentary, 1990). Lincoln is a world renowned exegete, and his commentary on Ephesians is an example of how he gained this reputation. I disagree with his conclusion that Paul was not the author of the epistle, but thankfully, his conclusions regarding authorship do not affect his exegesis of specific texts much. The commentary is well worth consulting. 4. 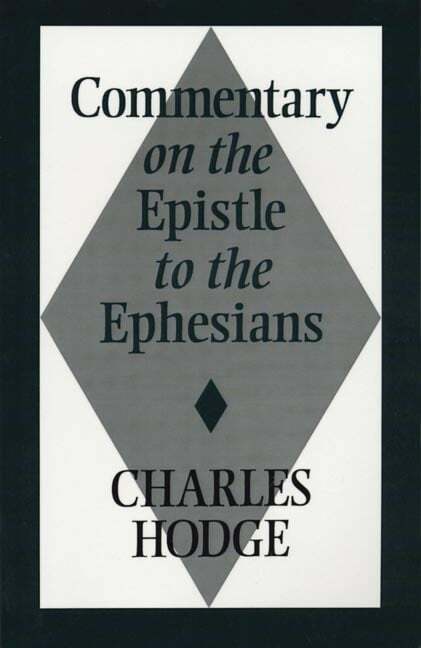 Charles Hodge — Commentary on the Epistle to the Ephesians (1950 ). Charles Hodge was not only one of the Reformed church’s greatest theologians, he was also an outstanding exegete. 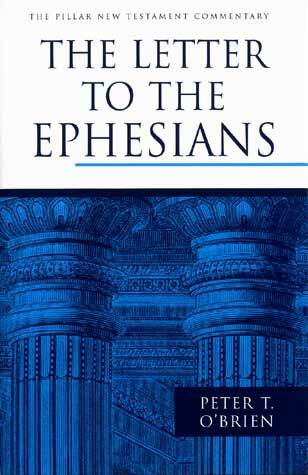 His classic commentary on Ephesians is still worth reading today. 5. F.F. Bruce — The Epistles to the Colossians, to Philemon, and to the Ephesians (New International Commentary on the New Testament, 1984). F.F. Bruce was one of the last generation’s most prolific evangelical authors. He wrote numerous commentaries and other works, and I have personally benefited from everything that I have read by him. His commentary on Ephesians is in a volume that also contains his commentaries on Colossians and Philemon, so it is not as thorough as some of the commentaries mentioned above, but Bruce is always worth consulting. There are a number of other helpful commentaries on the book of Ephesians. Preachers should consult John Calvin’s Sermons on Ephesians, and will find helpful the work by Sinclair Ferguson and Walter Liefeld. 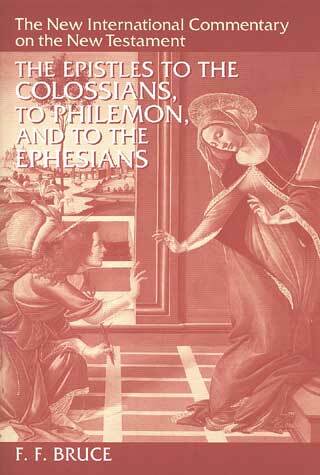 Frank Thielman’s commentary is also a must-read for students of this epistle.